A visit to Kuala Lumpur isn’t complete without a visit to Petronas Towers! Located a 5-minute taxi or Grab-ride away from Ramada Suites KLCC, Petronas Towers are the tallest twin towers in the world, and from 1998 to 2004, were the tallest towers in the world at 451.9m! The Towers were completed in 1996 and designed by Argentine architect Cesar Pelli. The Towers were officially opened by our current Prime Minister, Tun Dr. Mahathir bin Mohamad during his first tenure as Prime Minister. The steel and glass façade gives the Petronas Towers a a very 21st Century look and feel. Tower One is fully occupied by Petronas, Malaysia’s well-known oil and gas company, while the office spaces in Tower Two are leased by other companies. A visit to Kuala Lumpur is not complete without a tour of the towers which includes a stop at the skybridge and a final stop at the top, giving you a perfect view of Kuala Lumpur from above and plenty of photo opportunities! You can buy tickets on the day at the concourse level of the towers, although we strongly recommend booking online in advance to secure your preferred time slot, especially on weekends and public holidays. Make sure you’re there about 20 minutes before your scheduled tour time to pick up your tickets. The Towers are closed to visitors on Mondays and Muslim holidays Hari Raya Aidilfitri and Aidiladha. 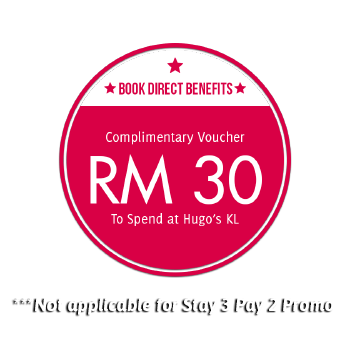 Ramada Suites KLCC’s concierge can advise when those dates may impact your visit. Tour groups depart the Concourse level every 20 minutes from 9am until 9pm, with the last tour departing at 8.30pm. Suria Mall occupies the base of the Petronas Towers for those wishing to combine some shopping and a bite to eat with a tour. Aquaria KLCC, is great for families, showcasing marine life and animals from Malaysia and around the world. Over 5,000 different exhibits of aquatic and land-bound creatures feature in a a sprawling space in the heart of Kuala Lumpur’s city centre. Outside, KLCC Park is a tropical, 50-acre sanctuary from the surrounding city. The park includes a two-acre children’s playground, wading pool and jogging track. There’s also plenty of sculptures throughout and lots of shelter from the heat. It’s the perfect place to sit on the grass and relax after a busy visit. • On 15 April 1999, Felix Baumgartner set the then world record for BASE jumping when he jumped off a window cleaning crane on the Petronas Towers. • On 1 September 2009, French urban climber Alain “Spiderman” Robert, slimbed to the top of Tower Two in just under 2 hours using only his bare hands and feet. Two previous attempts resulted in his arrest by police, both times at the 60th floor, just 20 metres from the summit! • The Petronas Towers’ double decker skybridge connects the two towers on the 41st and 42nd floors. The skybridge is not attached to the main structure, but slides in and out of the towers to prevent it from breaking, as the towers can (safely) sway during high winds. 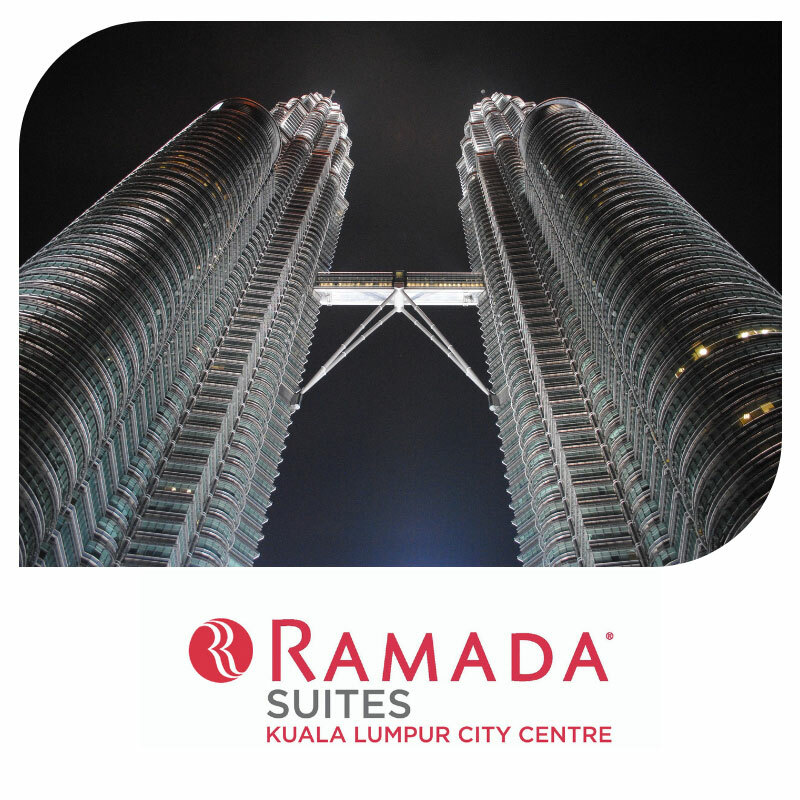 Enjoy your visit to Petronas Towers and don’t forget to tag your pics #ramadaklcc on Facebook and Instagram.